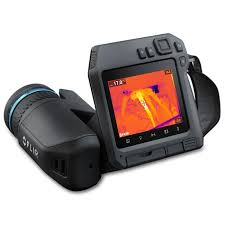 Butler Technologies supply and support the widest range of Flir thermal imaging cameras in Ireland. From the smallest hand held to aircraft mounted cameras. From fence line security cameras to thermal microscopes in R&D labs. From Personal security cameras integrated automation camera systems. Gas find and fire cameras. All this supported by our level 2 itc certified thermographer and our calibration lab repairing and calibrating cameras and rental to cover short term needs.